U.S. Nuclear Regulatory Commission issued the following announcement on July 18. The Nuclear Regulatory Commission has awarded 51 grants in fiscal year 2018 to 40 academic institutions in 25 states, totaling more than $15 million. Recipients include four-year universities and colleges, two-year trade schools and community colleges, and minority serving institutions, which are a federally recognized category of educational establishments. 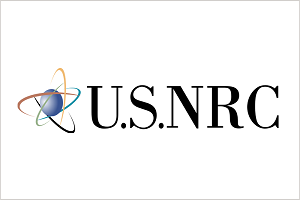 Congress authorized the NRC to provide federal funding opportunities to qualified academic institutions to encourage careers and research in nuclear, mechanical and electrical engineering, health physics, and related fields to meet expected future workforce needs. Recipients are to use the grants for scholarships, fellowships and faculty development. The grant program is approaching its 10-year anniversary. More than 3,200 students in 35 states and Puerto Rico have been beneficiaries of the NRC’s program. The NRC has specifically focused on developing individuals with the skills and competencies necessary to accomplish nuclear safety, including health physics, radiochemistry, probabilistic risk assessment, seismology, and other nuclear-related areas. Through this program, NRC has funded multiple research and development, educational and training, and experiential learning projects to enhance academic excellence and to produce a future skilled workforce. The NRC announces grant opportunities on www.grants.gov, which enables the public to find and apply for federal funding opportunities. A panel of expert reviewers, from academia and the NRC, evaluates the grant proposals. The panel composition is diverse, with most reviewers having experience reviewing proposals for government agencies and advanced credentials in nuclear engineering, health physics, radiochemistry or related disciplines. Each panelist must certify no conflict of interest for the proposals they evaluate. The complete list of grants awarded and general information about the grant program are available on the NRC’s website.